71 years of delivering quality tableware and kitchen utensils to consumers. 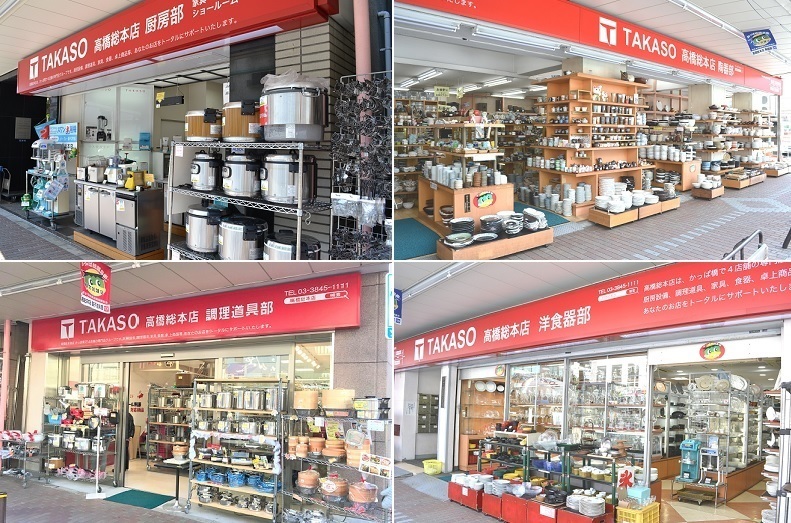 Takahashi Sohonten (TAKASO) is a general trading group of food service supplies dealing mainly in Japanese tableware, Western tableware, kitchen utensils, and kitchen appliances. Over the past 71 years, we've delivered tableware and kitchen utensils to a great many customers from our Kappabashi Dougu Street location in Asakusa, Tokyo. Our company aspires to grow with our employees, as well as expand and develop with our customers. We take our customers' opinions very seriously as they help us to grow and develop so that we may provide better service to them. Please feel free to give us feedback or let us know any ways that we can better serve you. We sincerely believe that we will be able to accommodate your requests. We have two different store locations specializing in tableware - our Ceramic and Western Tableware Stores. Our Ceramic Store features Japan-made Japanese tableware with a total selection of 2,000 products across the store and the showroom, while our Western Tableware Store features a total selection of 2,500 Japan-made and import products. Our product displays at either location let you see and touch, giving you a hands-on feel of the quality. Furthermore, we've also opened a new Japanese tableware showroom on the second floor of our main store. 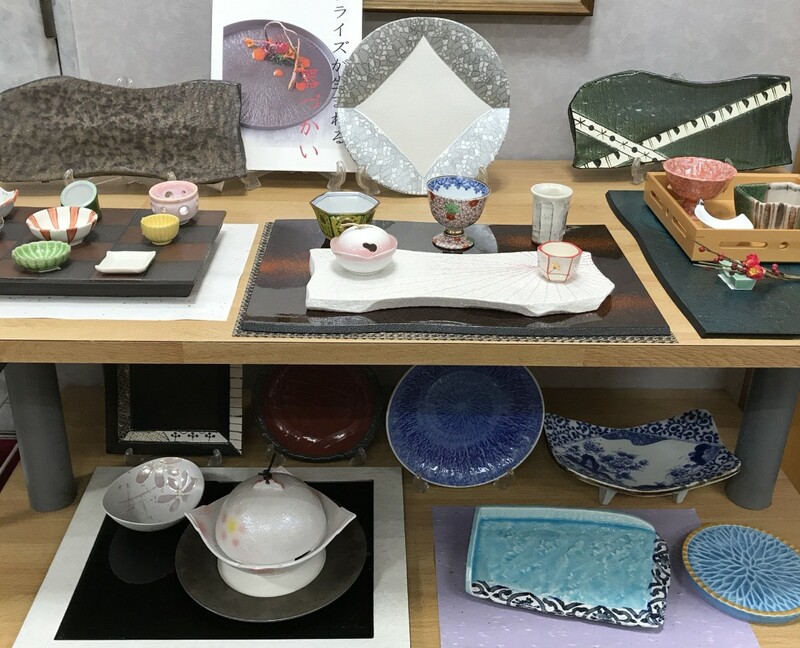 Between our two stores and showroom, there are over 6,000 tableware products on display, making it the largest exhibit of its kind in the Tokyo area. Due to a steady rise in overseas customers in recent years, we are naturally working to support in-store sales as well as exports. Our Cookware Store serves the needs of hotels and restaurants, with a focus on professional kitchen utensils as well as an extensive lineup of other products. Our uniquely Japanese kitchen utensils and cookware offerings have received rave reviews for their wonderful quality and superb functionality. We also carry a large assortment of kitchen utensils of great use in general households. Our Kitchen Store features electric kitchen appliances and equipment. Our vegetable processors crafted with Japan's unique and wonderful engineering prowess have received high praise from overseas customers. Japan-made kitchen knives, however, are the most popular item among our foreign customers. 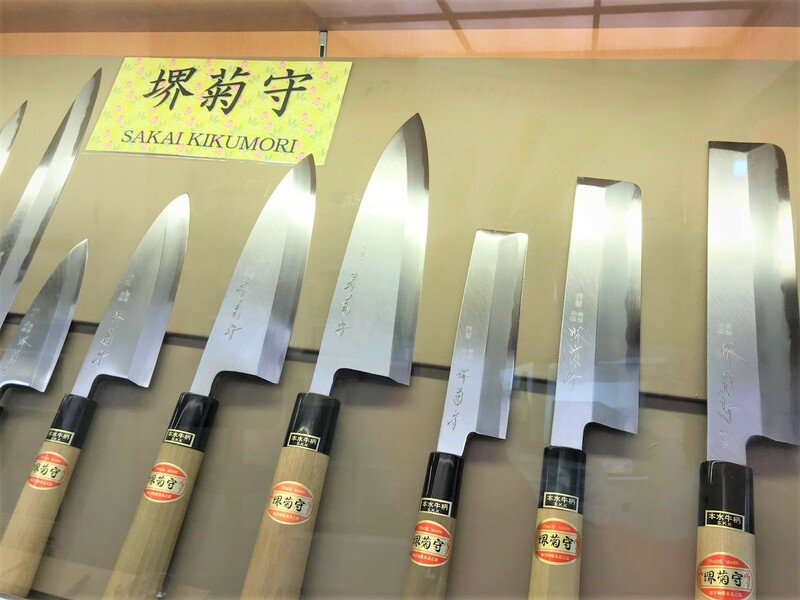 Both of our stores include products from a vast number of manufacturers and regions, which truly conveys the greatness of our Japan-made kitchen knives. As the sole distributor for shaved ice manufacturers and with our proven track record as the top seller of these machines domestically, we have helped to install and setup countless shaved ice machines. Not only do we offer sales and warranty service, we also provide machine rentals, and sales of ice for the machines, selected syrups, and various disposable containers. 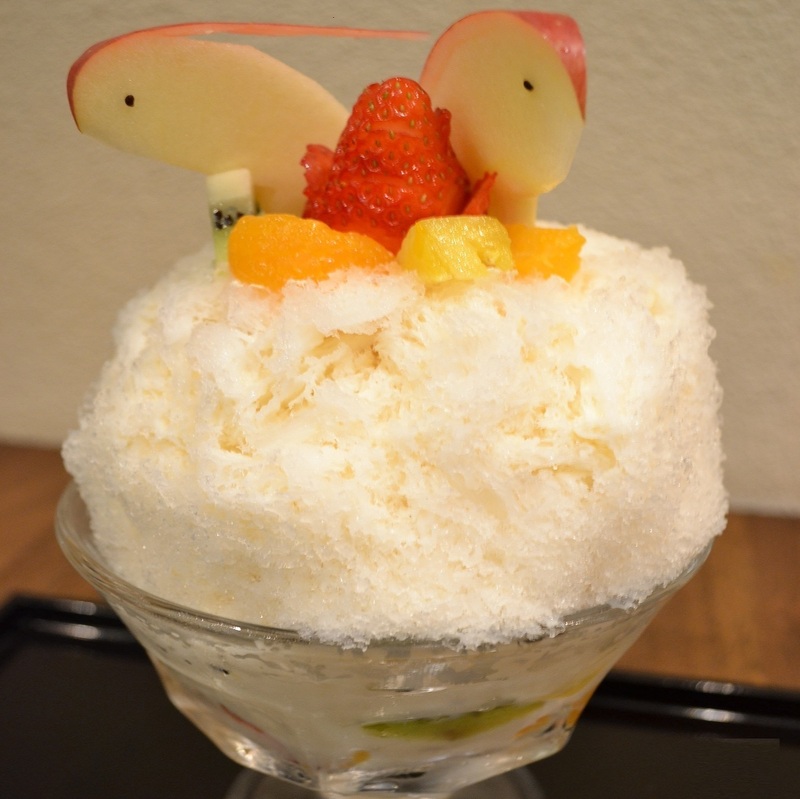 We've assisted many consumers as a "Full-Service Shaved Ice Company." Our customers have given us significantly high praise for advice stemming from our years of experience. 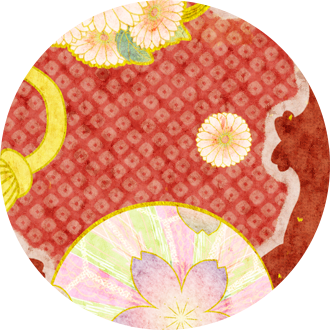 Japanese Tableware Showroom - Now Open! Due to popular demand, we've opened a Japanese Tableware showroom on the 2nd floor of our main building to further enhance our line of Japanese tableware. "I want to touch and see a greater variety of utensils." "I want to see some higher grade tableware." "Do you carry anything with more elaborate designs?" "I'd like to talk shop and consider my purchases in a more relaxed environment." at our company to over 6,000 in total! The showroom's located across from the Ceramic Store on the 2nd floor of the Kitchen Store. in either the Ceramic Store or the Kitchen Store. Leave your overseas shipping to us! 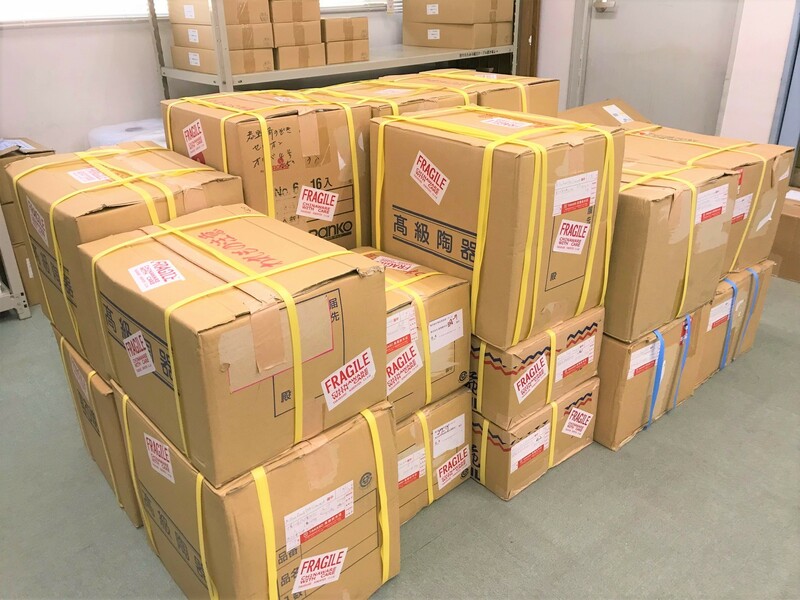 Due to a rise in overseas demand for Japanese tableware in recent years, we also offer tableware and kitchen utensil export services for customers overseas. We have a proven track record from countries in Southeast Asia such as Hong Kong, Taiwan, Thailand, and the Philippines, all the way to America, Canada, France, and even England. Small orders, bulk orders -- we cater to all sorts of client demands. Feel free to make inquiries! All stores closed from December 30th to January 5th. Normal business hours resume on January 6th. we will be holding the [FOOD & HOTEL 2017] exhibit in Bangkok, Thailand. The store will close at 5pm on August 29th (Tues) for employee training.